Did you ever wonder why we do things we don’t want to do? Take New Year’s resolutions, for example. We have the best intentions of finally changing that habit; to lose weight, to get in shape, to start standing up for ourselves, to just generally be a healthier person. But our habits betray us so often. We find ourselves slipping right back into the same old patterns as before. The same thing happens in our relationships. We do things we don’t want to do, and we pay for them over and over and over. Maybe we can’t say “no” to things that are harmful us or other people. Today’s guest is here to explain why this happens to us. You might find it interesting to know that there’s actually a biological reason for this. And when you understand why you do this, you can stop blaming yourself or thinking there’s something wrong with you, and you might find the motivation to begin changing your habits once and for all. Professional counselor John Raven is on the program today to enlighten us on the biological basis for codependency. Question: In addition to your private practice, I understand you’ve been teaching a class at a local hospital. Has that experience help refine how to talk about codependency and addiction? I stumbled upon something that really resonated with people regarding the ideas about codependency we’ve been talking about. In my capacity as a therapist, I’m tasked, particularly in the addiction medicine field, with helping people manage coming to grips with addiction or having a family member that has an addictive problem. So from my perspective, as a counselor and not a neuroscientist, I’m largely taking information and synthesizing it into an understandable, relevant tool for people to use. As I was synthesizing a lot of the knowledge that we have about addiction, some things came up about codependency that have really clicked. Question: Can you tell us what you’ve uncovered about the biological basis for addiction? We understand addiction as a scientific disease with a scientific understanding. This can be helpful because it takes it out of the ‘woo woo’ realm, and brings it into an understandable, medical problem that we can approach with a scientific understanding of how to overcome it. In a nutshell, I’ll give you the condensed version of about 100 years of clinical and biological experience from the mouth of a therapist about the disease of addiction. In the same way we could talk about diabetes being a problem of the pancreas, or heart disease being a problem of the heart, we understand addiction as a disease of the brain. The brain is a very tightly governed tool that we use to make our way in the world. It has different chambers, parts and systems. Two or three of the particular systems that we tend to use in terms of making decisions are the pre-frontal cortex and the limbic system, which is a system that regulates emotions, desire, pleasure and pain. There’s a pathway called the ‘pleasure pain pathway’ that regulates what we find pleasurable in the world, as well as what we tend to avoid. All of these systems work together in concert to be able to discern what is good for us and what is not. The limbic system, this globular emotional drive center, tells us to go do the things that are good for our survival, and how we feel about these things. The pleasure pain pathway regulates the release of certain chemicals in the brain, one of them being dopamine (the ‘feel good’ drug of the brain). And so, the way this typically works is a top down process if we think about the prefrontal cortex being on top of the rest of the brain. While the pleasure pain pathway tends to want us to do things that are good for our survival, we can rationalize that behavior and not do certain things, with the prefrontal cortex being the more logical, reasonable, moral, or even connection-oriented center of the brain. Even though this tightly regulated system of the brain is really only supposed to release dopamine when we’re doing something good for survival, what happens is that because of the intensity of addictive drugs and alcohol, they go straight to the brain and say to the limbic system, “I want to release dopamine at about ten times the rate of any other normal thing in life that would make you feel good.” And therefore our brain tends to associate drugs and alcohol as things that are good for our survival. The primitive parts of the brain don’t know any better. They can’t rationalize or reason that we’re not actually doing something good for our survival, we’re just gaming a system. Of course, logically we know that drugs and alcohol have no bearing whatsoever on our ability to survive, but the part of the brain that is regulating this process really doesn’t know that. This is how we end up with people who make really irrational decisions. This explains people who are willing to steal money from their mother’s purse in order to get drugs, because in their mind they are doing something good for their survival. The part of the brain that moderates logic and reason, which is the prefrontal cortex, has literally been turned off. This is why we get people lying and saying they really won’t use again, and all these other frustrating promises that people make. Their brains are really in this primal, overdrive state. They are seeking what they believe is something good for their survival even though they could logically and rationally tell you, “Yes, these things are all bad.” This very basic, primal, limbic brain has completely taken over the regulating cap that regulates higher order thinking, social thinking, reasonable thinking. This is what we understand to be the basics of the addictive process. Question: Is it possible that people with addiction issues have some issue or weakness in the prefrontal cortex? We know that genetics plays a role in this process. “Weakness” is a less apt to term to a “predisposition”. My good friend who is about 120 pounds soaking wet, can eat anything she wants without physical consequences, whereas I have a predisposition to storing sweets in a different way. We have genetic differences. In the same way, a person who is prone to addiction (we know that genetics and heredity play a huge role in addiction) primes the pump toward someone having a addictive problem. Whereas someone who doesn’t have an addictive problem could be using drugs and alcohol without the weakening of the top down process, someone who does have a propensity towards addiction can really be prone to have that weakening happen, and then eventually have that threshold reached where the reasoning goes away, and the drug and alcohol behavior takes over. So, if we understand this, what does it have to do with codependency, enabling, or addiction? We know that addiction as a disease can ripple through the family and cause all kinds of secondary conditions like codependency, which isn’t a diagnosis per se, but it’s very relevant. I’ve been given a definition of enabling that says an enabler is someone who shields the dependent person from the consequences of their behavior. I was tumbling this around in my head, and when I put the concept of addiction together with the behaviors that we see, it locked together and made sense. If we understand that addiction is the loss of rationality, the succumbing to the will of continuing to use a drug and losing our sense of choice in the matter, we will begin to behave in very bizarre ways. As the concept of behavior was evolving, how we respond to that behavior was evolving as well. In my book Don’t Feed the Ducks, I write about compassion and how we’re biologically wired to help each other. We’re wired to want to form deep connections with each other. It’s good for our survival (speaking of things that release dopamine). It’s gives us a mutual good feeling to help and to be helped. And in many ways, we can look at codependency as a normal behavior. If you are going to be attacked by a bear, and I say, “Look out!” I’m trying to shield you from the consequences of your behavior; I want to be able to help you in that way. So, we are hardwired to be codependent in that sense. Now, that system of enabling or mutual cohabitation, of interpersonal connection relies on both of us playing on the same playing field with a sense of mutuality, and guess where mutuality, family, and the rules of relationships is stored? All of that information is stored in the prefrontal cortex of the brain. Therefore, if I’m operating on one playing field and you aren’t, we’re going to end up with an unbalanced relationship. If I want to borrow twenty dollars from a friend and pay him back later, and then he wants to borrow twenty dollars from me and pays me back later, we have a mutual exchange. We both understand the rules and we both play by them. In the same way that I would yell for you if there were a bear coming, I would expect and hope that you would do the same for me. Each relationship has different rules, but by and large it’s a mutual exchange. When one of the people in that exchange isn’t medically able to play by the same rules, you’ll see an extreme unbalance. You’ll see one group of people who has excessive care and concern for another person, but it doesn’t seem to be working. We now see an extreme unbalance in the normal process that we have to regulate relationships, and it’s unbalanced because one person isn’t, in a lot of ways, biologically able to do so. As I see it, the codependent is trying to make the other person play to a higher level, as if they have some sort of control over how that person plays. But the frustrating truth is you can’t do that, so there’s got to be another approach. If we go back and think about when the brain was forming tribally, we think about those things as actually being effective micro-tools to manage behavior. Back when I was in college playing sports, having a critical response in a critical time was acceptable. Telling a teammate on the football team to get it together was okay within the context of that particular scenario. We have these micro-skills that tend to work. It can be effective when we have care and concern for each other, but then sometimes they’re not effective. We can see this on a micro-level with relationships. In my relationship with my wife, I had to learn that being overly critical isn’t necessarily going to work well for me to develop a close, interpersonal relationship. But if we were looking at it tribally, me being able to tell you to look out for the bear coming would be extremely beneficial in order for you to be able to survive. As far as those sorts of behaviors, we keep trying them and they don’t work. We keep trying other behaviors like care-taking, and they don’t work. If we look at addiction and think about it in the way of a person trying to use willpower to get over it (when we have a behavior that we find undesirable), we will try to will ourselves into doing something different. Unfortunately with addiction, you cannot will your way out of this process. There’s something that has gone awry in the brain in a very complex way that is beyond our ability to help it, and we have to have some sort of medical or clinical intervention to help it. Similarly with codependency, it has gone awry and we’re trying to will it better, but we have to try a different tactic. 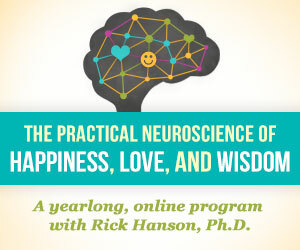 In the same way that we try different things in terms of enacting spirituality, mindfulness-based practices, sober connections with other people, practicing rigorous honesty and all these counterintuitive things that we have to do in order to help a person through their addictive process, we have to do this with codependency or enabling behavior. We have to try things that are uncomfortable for us. We must let go, hold boundaries that we don’t feel comfortable holding, and understand that over-excessive care and concern is a normal, healthy urge that was developed in humanity to help us survive, but that given the nature of this disease and what we know works, may not be the best solution. Understandably, I don’t want to not bail my son out of jail for the fourth time. I’m up at night deathly afraid of what’s happening to him. I must understand that this urge is normal and healthy, but I need to learn how to manage it. Question: In light of the brain biology, can we go deeper into some of the solutions to overcome this phenomenon? Sure, that’s probably the best part for most folks. Having this conversation can inspire that, because we trust that if this is true, then continuing to enable is never going to work. Saying to someone, “Please stop lying to me,” is not going to work because the person is not functionally able. When we talk about solutions to codependency in the context of addiction, we have to talk about a two-fold approach of healthy boundary setting, and being able to communicate in an effective way. This goes into a more philosophical argument, but I tell people that it’s really important to have a boundary that you can set. You need to have a consequence for someone else crossing your boundary, and be willing to enforce it. Now oftentimes, people will use setting a boundary as a tactic to actually try and manipulate behavior, and then when the other person crosses the boundary, there is no consequence because it was just a ploy, like playing ‘chicken’ with someone. It’s like saying, “If you drink again, I’m leaving you.” And then if the person drinks again, and you don’t actually leave them because you were bluffing at an attempt to illicit compliance, it will actually strengthen the bad behavior. So, from a philosophical perspective a person has to know what her boundaries are and absolutely be willing to set them. This is really difficult because when we see people in distress, our natural instinct is to help them. Particularly, mothers and fathers find difficulty setting boundaries with their children. They say, “How can I set this boundary with my son? Of course I’m going to keep bailing him out. I don’t want to see him die, or be out on the streets!” But your boundary has to be something that you’re comfortable with and willing to set. I’m hesitant to give a specific boundary because that has to be up to the person in the situation. One needs to dig into understanding what is a logical, rational boundary given her own unique situation. That is prong one of this approach. Prong two cascades from this. If I know where my boundaries are, I can play within this sandbox now. It involves reversing the things to which we’re normally accustomed, and finding new ways to interact with people. There’s a really good book called Getting Your Loved Ones Sober: Alternatives to Nagging, Pleading, Threatening written by Robert Meyers and Brenda Wolfe. They talk about ways that you can interact with people, that are radically different than the ways we typically approach people. For example, reacting to people with excessive positive reinforcement tends to be very effective in helping someone manage their behavior. This is a bit difficult because it can seem like you’re rewarding someone for their behavior, but again we have to look at these as counterintuitive strategies that don’t make a lot of sense to us. It’s about enacting these in a way of hopefully helping that person with their behavior. If someone comes home drunk, for example, instead of saying, “What are you doing? You told me you weren’t going to drink again,” and getting into a fight about it, you could instead remove yourself from the situation by saying, “I prefer when you’re not drinking. I’m going to go to my sisters house tonight.” Or, if they come home and haven’t been drinking, you could positively reward them. “I love spending time with you when you’re sober. I’d love to make dinner with you tonight.” Use positive reinforcement instead. Use “I” statements instead of “You” statements. Start asserting your boundaries in a healthy, effective manner. Approach it with the willingness to hear and be heard, and have an understanding of the way the addictive process works. There are a number of techniques and tactics you can use, and lots of resources out there, but essentially from an overall philosophical understanding, it’s about knowing what is happening for that person on a biological basis, knowing what is happening to you on a biological basis, and being willing to enact strategies that may seem strange. Granted, they do seem strange because they are counterintuitive to what we know we’re supposed to do as humans. Question: You mentioned that there are some good resources out there that people can use to learn these tactics. Can you name a couple that people might want to check out? There’s an author out named John Raven… (jokingly). Getting Your Loved One Sober is one of the newer ones, Codependent No More is sort of the standard that we know. Read anything that leads you towards setting healthy boundaries and techniques and tactics that will help someone else overcome their addiction. The book called Boundaries by Dr. Henry Cloud and Dr. John Townsend is also a great book, and so is Codependency For Dummies by Darlene Lancer, as well as Facing Codependence by Pia Mellody. Any of those standards will help guide you toward new behaviors. The biggest issue I’ve found in this work is that having an understanding of why we do the things we do is really most important. Once we understand the why, the how just sort of comes to us. And there’s a lot of information out there about how we can go about enacting that. The difficulty is helping people understand why we set boundaries, why a counselor or therapist might tell you that excessive care and concern isn’t necessarily the most appropriate response to have, or why excessive desire to bail a person out might not be the best thing. Retelling the story about how someone wronged you in his or her addiction may not be the best thing for you. Understanding why we recommend those things tends to allow the how to show up for you. Question: I hope there’s a body of knowledge that continues to develop about the brain biology of codependency. In addition to all the solutions you’ve proposed here today, what is your biggest piece of advice for a codependent person? The takeaway from this is understanding that we’re taking this logical leap where we see that addiction is the epicenter of codependency, and relate that with other aspects of how people end up in codependent relationships. In addiction, we understand what is happening, and we can then make the inference of what is probably happening for family members or loved ones, and if we can understand that, we can know why the things we’re doing might not be helpful. So it might help us to dislodge a very emotional “stuckness” about it and move on. So, the biggest takeaway is to develop an understanding of why people do what they do, and why we do what we do, and we can make these counterintuitive changes to our behavior. I think this is the biggest “aha” that I’ve seen in folks around this topic; that they get stuck saying I FEEL that I want to do this or that, and it’s a very visceral feeling. People get involved in relationships and feel the need to enable, care-take, or be codependent in the same way that a person would FEEL they need to save their friend from a bear. So advice to the contrary of that seems very bizarre to them. But if we can take a step back and understand from logical perspective why this (i.e. addiction) is happening for this person, I can understand why my behavior won’t be helpful, and start to enact new behaviors. Look into what you’re willing and not willing to do, and work within that framework. Then once you have that framework, you can activate different tools to get that end. And as new research is coming out about addiction, there tend to be very successful interventions in helping people. John Raven has a Master’s of Science from Walden University in Mental Health Counseling. He is a licensed professional counselor (LPC) with the Oregon Board of Licensed Professional Counselors & Therapists. He is also a Certified Alcohol & Drug counselor (CADC level II) with the Addictions Counselor Certification Board of Oregon. John stays current with the research and practice on what makes an effective counselor. He utilizes empathic client-centered talk therapy and directive cognitive behavioral techniques, both which have strong research-based success correlations, as a part of his counseling practice. He has found that working towards helping develop insight through a combination of empathy and practical, skill based treatment effectively guides his clients towards their goals. John is the author of Don’t Feed The Ducks! : Overcoming Unhealthy Helping in Your Life & Relationships, and you can find his website at www.johnravencounseling.com. What do YOU think? Do you believe biology plays a role in codependency? Comment below! I’ve been doing a lot of reading after it was identified to me that I was behaving like an addict. I had already become to recognize and accept codependency behaviours in myself, particularly within the relationship with my wife, but I was stunned to hear I was showing addict behaviours too! I was like, “Wait a minute, Codependency behaviours are created when someone lives with an addict. How can I have both behaviours of an addict and also a codependent person? !” However, after learning about the cycle of addiction and how similar it is to the codependency cycle (Trigger – Rescue – Resentment), it starts to make a lot of sense. Although my wife and I aren’t “substance addicts”, I believe we are addicts,or dependents, to the other’s emotional support and enabling behaviours. There is a sense of “pleasure” when you can support another person in a time of perceived need. And as mentioned, we are biologically wired to seek and repeat things that feel pleasurable, even when logically we know they may not be. It really then seem sto become about a new form of self-discipline…be aware of how you behave in ultimately unhealthy ways and make the hard choice of doing a more healthy behaviour, even although in the moment it doesn’t feel as good. We have to fight our biology wiring in order to create new, non-codependent behaviours! Thanks for this. Want To Know The Top Ten Codependency Questions? Looking for a more in-depth resource on codependency? We've taken our research and personal experience, and combined it all into a 16,000-word e-book for your enjoyment.